Benjamin Evans, @thingsbehindsun, described the importance of global literature in our current climate: "it has perhaps never been more important to understand others nation's perspectives and cultures given the current narrative of shutting down borders, building walls and exiting the EU"
Below, you’ll find four short works of global literature that can take students of their comfort zones, and foster meaningful engagement with the larger world. Riverwilt: a Japanese poem that mourns the destruction of the natural world. Interested in participating in another Twitter chat or other online event for educators? Help us plan future opportunities by answering this one-question survey. 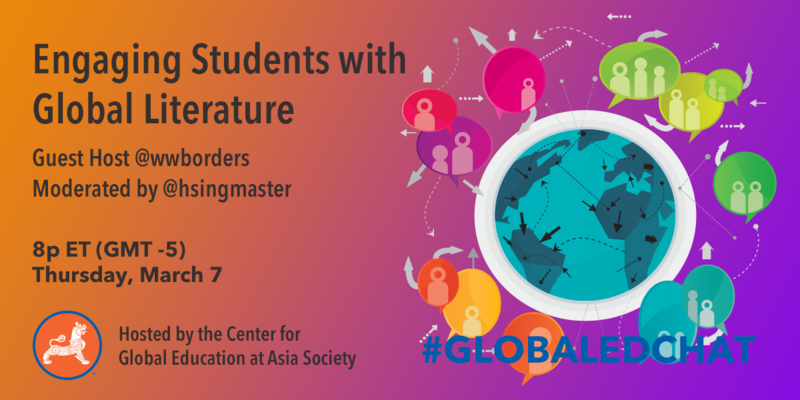 You can follow Words Without Borders on Twitter @wwborders, and take part in the Asia Society's other chats with the hashtag #GlobalEdChat.